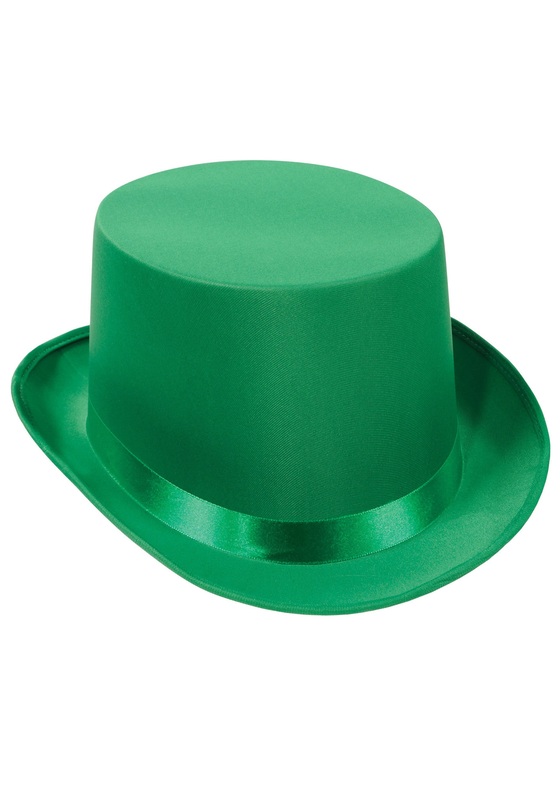 How could one celebrate St. Paddy’s Day without a Green Top Hat on their head? Well, one couldn’t and shouldn’t ever even try to! Everybody knows that everything is always way better when you do it with a top hat sitting upon your crown. And when it’s St. Paddy’s that top hat has GOT to be green. You can wear this snazzy hat with any casual St. Paddy’s themed outfit you have planned out. Even go all out with a leprechaun costume this year and complete your magical transformation with this green beauty. Be sure to look through the rest of our St. Paddy’s themed accessories to put together the perfect outfit for the holiday. Just watch out for anybody trying to find a lucky pot of gold while this is on your head. You may end up spending your St. Paddy’s Day in one of those pesky leprechaun traps!